The Law Office of Carole Cross proudly practices family law for both the military and the general community — both in Texas and for those stationed abroad. At The Law Office of Carole Cross, we do what it takes to resolve your case in an ethical, timely and cost-efficient manner. Our goal is to help you get back on track with your life as quickly as possible. 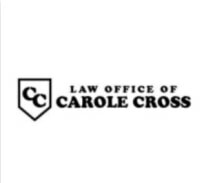 If you are anticipating relocation and have children or have been divorced, you need the experienced representation of The Law Office of Carole Cross in your corner. When a member of the United States armed forces is given an order for reassignment, there are a number of contractual issues that can become difficult to manage without the help of an experienced attorney. When a member of the United States armed forces is given an order for deployment, there are a number of contractual issues that can become difficult to manage without an experienced attorney to help.